“Did you hear that Steve Jobs died?” read the text from my brother. I was at dinner with my family and the news hit me harder than I expected that it would. I knew that his health was not good, but I was holding out hope that it would turn around. I picked up his book about the first of November. It took me a while to read it, there was a lot to process. For me, it’s not just a quick read like many books I consume. I had to take it in digestible doses. “I know there will be a lot in your book I won’t like.” It was more a question than a statement, and when he stared at me for a response, I nodded, smiled and said I was sure that would be true. “That’s good,” he said. 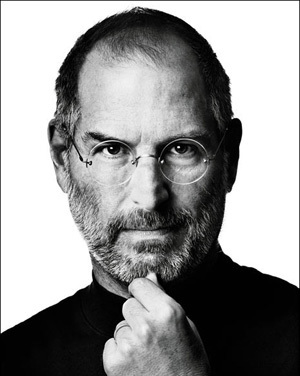 Jobs had aspects of his personality that most would consider character flaws. I’m not sure I would characterize them that way. Personalities are complex things, and who is to say that the genius that was Steve Jobs would have been completely broken without those very “flaws”. He is among the short list of people I truly admire. Why? The answer might surprise you. He was an enigma. He espoused Zen living, but created commercial products that’s people found hard to live without. He cared little for money, but was as shrewd of a business man as has ever lived. He was frequently callous but could just as easily break down in tears. For a billionaire, he was unassuming. He had no security detail. He even kept the back door unlocked during the day. And while he was never able to live with the calm spirit and mind that his Zen beliefs taught, they were engendered in the products he envisioned and lead his companies to produce. Steve, the world misses you. Now please go and make the afterlife more user friendly.